The Kilmarnock striker agreed a deal with the Timbers in January 2012 after knocking back an offer from Houston Dynamo. He played 27 games and scored seven goals, but left 12 months later. He had struggled for game time following the departure of head coach John Spencer. Kenny Miller put pen to paper on a deal with the Canadian side, following his former Rangers team-mate Boyd out to the US. However, Miller enjoyed a lengthier stay in the States, spending just shy of two years in MLS. He netted 13 times in 45 appearances. His first goal for the Whitecaps came in a 2-1 loss to Portland Timbers. Boyd was an unused substitute for the Timbers although Steven Smith played the full game. Barry Robson lined up alongside Miller in the Vancouver starting XI, with both playing the full 90 minutes. Steven Smith joined Portland Timbers around three months after Kris Boyd, and although he spent just a season there, he turned out 22 times for the Oregon outfit. 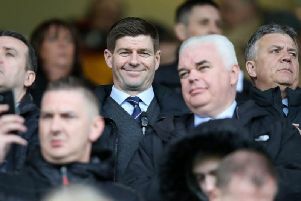 His debut came in a 2-0 defeat to Montreal Impact but his departure from MLS was confirmed in December 2012 and he returned home to Scotland to join Rangers. Robson agreed a three-year deal with the Whitecaps in February 2012, as one of the club’s two designated players. He scored on his home debut in a 2-2 draw with LA Galaxy, and finished the season with three goals in 18 appearances. However, despite his long-term deal, Robson and the Whitecaps agreed to mutually terminate his contract in January 2013 afer his family struggled to settle in Canada. Brother of fellow Scotland international Gary, Caldwell joined Toronto initially on loan, before signing a permanent deal in summer of 2013. With him in the side, Toronto reduced their goals-against average by 0.5, and he was named captain in July 2013. In December 2013 he was voted ‘player of the season’ by a Toronto news site. However, he lost the captaincy to USA international Michael Bradley, and eventually retired in July 2015 after 49 games and one goal. Gough joined Kansas City Wizards in May 1997, joining MLS in its early years. However, he returned to Scotland, and former club Rangers, later that year to help alleviate an injury crisis. He was named in the 1997 MLS Best XI for his performances with the Wizards, along with Carlos Valderrama, Eddie Pope and Brad Friedel. He is one of just two Scots, the other being John Spencer, to have been named in a MLS Best XI. He returned to the USA in 1998, this time with San Jose Clash. In total he made 36 appearances in MLS, scoring twice. Shaun Maloney joined Chicago Fire in January 2015 after spells with Celtic, Aston Villa and Wigan. He played 14 times in MLS, scoring three goals and notching three assists, and made three appearances in the US Open Cup. Chicago finished bottom of the table, and Maloney departed in August at the end of the season. Johnston made a name for himself in the States after spells at Partick Thistle, Watford, Celtic, Hearts, Rangers, Nantes, Everton and Falkirk. Joining Kansas City Wizards in June 1996 - where he would later be joined by former Ibrox team-mate Richard Gough - Johnston made 149 appearances for the Missouri side, scoring 31 goals and helping them to the MLS Cup in 2000. He hung up his boots in January 2002. Dalglish may have only played 11 times for the Dynamo, registering two goals, but he still helped the Texans to back-to-back MLS Cup victories. He left in January 2007 and after a year out of the game, joined Kilmarnock on a short-term deal before retiring from playing duties through injury. He returned to Houston Dynamo in a coaching capacity in 2008, and since then has had spells at FC Tampa Bay, Austin Aztex, Real Salt Lake as assistant boss, Ottawa Fury and Miami FC, where he is currently manager. Yes, the ‘Good Doctor’ of Gretna Kenny Deuchar spent a season in MLS, where he had a memorable spell with Real Salt Lake. Deuchar helped his new club to their first ever playoff appearance and subsequent Western Conference Final, and appeared in all but three of the team’s games that season. He only notched three goals during his spell in the States but his stock remained high; on leaving Salt Lake he had spells with Hamilton, St Johnstone, Falkirk, Livingston and Stenhousemuir on lona. He briefly came out of retirement and played a handful of games for Arbroath in 2014. Former Hibs striker McManus signed for the Rapids in March 2008 during the club’s pre-season tour of England, making his debut in April against New England Revolution. McManus, who had spells with East Fife, Airdrie, Boston United, Dundee, Falkirk and Dunfermline before moving to MLS, netted six goals in 24 appearances for Colorado including a 40-yard effort against Chivas USA in May 2008, which won him the Week 9 Sierra Mist Goal of the Week award. He left the club in early 2009 and after stints with Derry City, Falkirk and Ayr United he returned to the US, this time with Rochester Rhinos in the second tier. • Other Scots to have plied their trade in the States include Peter Canero, who had a spell with New York in 2006; Jamie Clark who spent a season with San Jose Earthquakes in 1999; Calum Mallace, who has been playing for Montreal since 2012; Adam Moffat (Columbus Crew, Portland Timbers, Houston Dynamo, Seattle Sounders and FC Dallas); Jamie Smith, who was at Colorado between 2009 and 2013; Kevin Souter who spent a season at Kansas City in 2009/10 and John Spencer, who had three years at Colorado before taking up coaching in the US.